Exactly How High Is A 16&apos; 6" Unmarked Bridge? When Don-Bur first started doing double decks over 30 years ago, they were commonly built at a maximum of 4.880m high (16'); however, of late, we have seen that limit being tested where the degree of clear space between trailer top and bridge has shrunk to just a few inches. Taking into account "bump and roll", this could be eaten away to a very slim margin. Our question then starts to become less idiotic and demands more attention. As you may know, unmarked bridge heights should be higher than 16' 6" or 5.029m in new money. But how accurate is that? 1) How are bridge/gantry clearances measured and what is the % tolerance of those measurements? "Highways England does not specify a particular method for measuring headroom. However, our standard for “Inspection of Highway Structures” (DMRB BD 63) requires that “The equipment and method used shall have a tolerance of not greater than +/- 10mm.”"
2) Are all bridge/gantry clearances re-measured on a regular basis to account for natural movement over time? "All highway structures undergo a Principal Inspection (generally every 6 years) during which the headroom is measured." 3) Are all bridge/gantry clearances re-measured when either usage or conditions change. i.e. when the road is re-surfaced or when the hard shoulder is utilised (for instance on smart motorways). 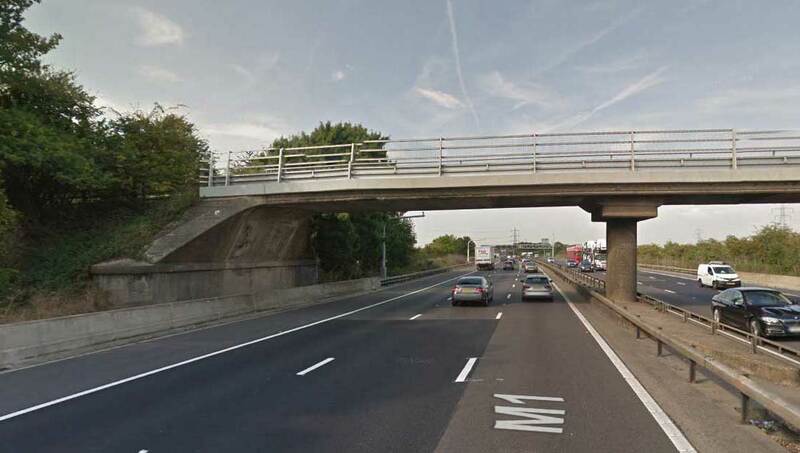 "Headroom to a structure is re-measured following any works where the headroom may be affected such as carriageway resurfacing, utilisation of the hard shoulder and structural strengthening." 4) Is a bridge/gantry clearance database publically available – either free or paid? "There is no database that is publically available (free or paid) with headroom to structures." At least we now know that 16' 6" means (at worst) 16' 5 5/8". Whilst there are other factors that affect the gap between trailer and bridge (bump and roll + suction created by aerodynamic forces), we can at least rest easy that SMART motorways and resurfacing will not be solely responsible for trailers ending up in our double deck repair shops. Of course, bridge heights under 16' 6" will be clearly marked so we can all trust our drivers to be observant and take appropriate action if there's a clearance shortfall.